VIBE: Did you camp out for sneakers growing up? 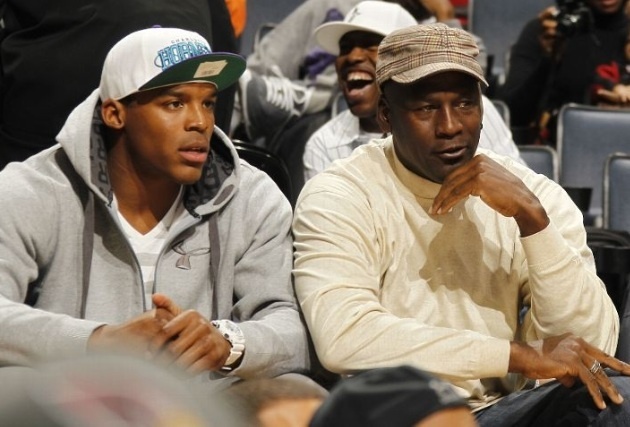 Cam Newton is “close friends” with Michael Jordan. Cam gives Michael Jordan—Michael Jordan—a hard time. And he should, of course. I mean, what’s the official shoe of Auburn cheerleading this year? Here’s a hint: It ain’t Air Jordans. Related: VIDEO: Cam Newton calls out girl for wearing a Julio Jones Bama jersey, asks her to change. What? Two sports giants that each possesses incredible athletic talent that almost completely obscures a very driven, diligent and workaholic demeanor from the public? Why WOULDN’T they be friends?